We would like to say a huge congratulations to our newly qualified Registered Veterinary Nurse Jessica. Jessica joined us when she was just 16 as an auxiliary nurse and then a trainee nurse. All of her hard work has certainly paid off! Jessica would like to thank her clinical coach, Louise the Head Nurse from our Hebburn surgery, for helping her achieve her dream job. Blythman & Partners are proud to play a vital role in developing veterinary nurses across the North East. 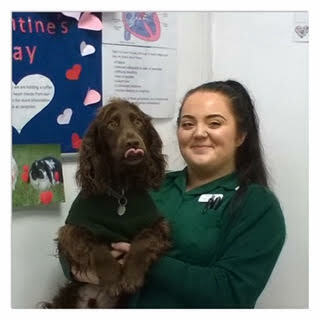 We are one of a limited number of recognised Veterinary Nurse Training Centres, as well as a Royal College of Veterinary Surgeons accredited practice.